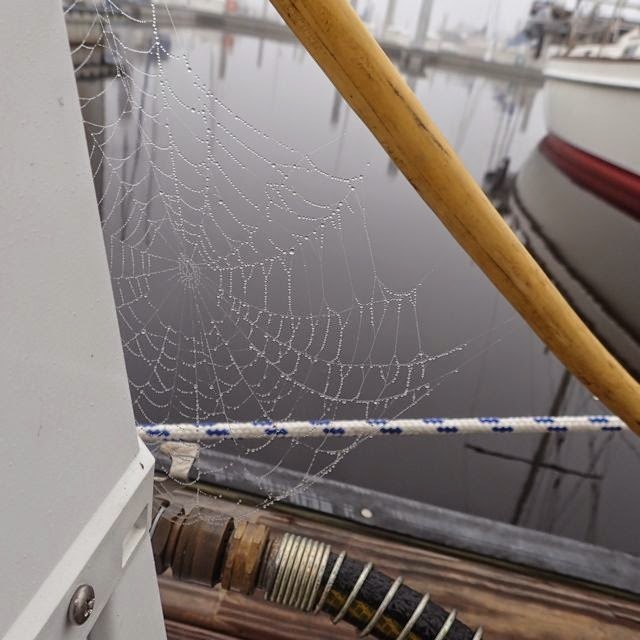 Dewy spiderweb this morn on our Pearson 365 sailboat at JAX NAS marina. How do you know when it's time to set sail and begin your South Pacific Cruise? 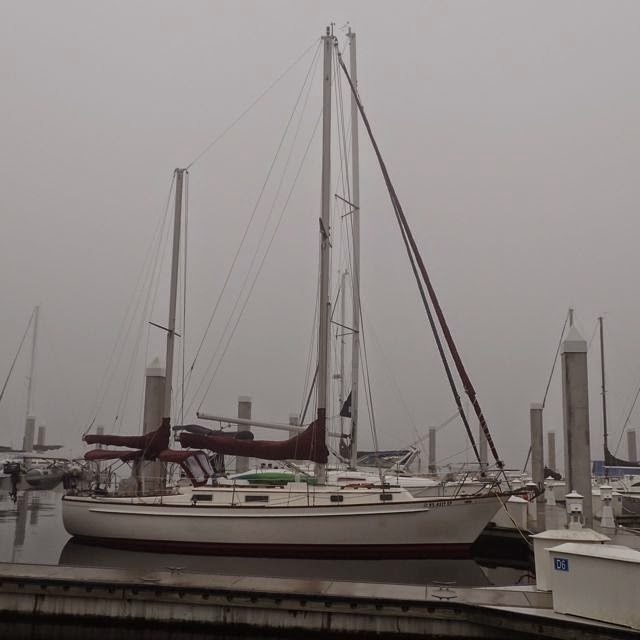 These pictures of our Pearson 365 sailboat at NAS JAX Mulberry Cove Marina tell our tale. 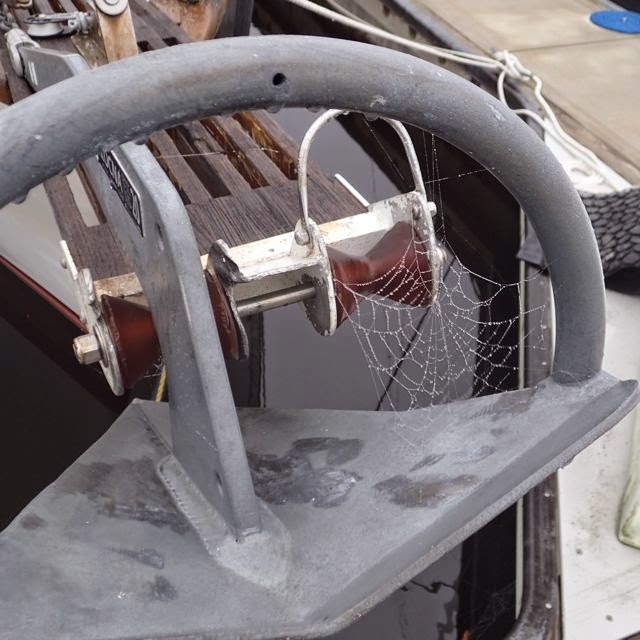 More spiderwebs JAX NAS marina. She's waiting on us now! Now: NAS JAX Mulberry Cove Marina (N30.12.980 W81.40.234). Tonight? Probably Jacksonville Landing St. John's River. Tomorrow? The Atlantic, headed South.